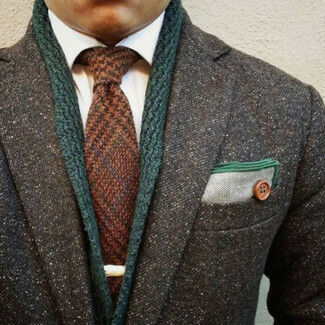 If you're on the lookout for a casual yet sharp getup, wear a brown wool suit with a brown wool tie. Both garments are totally comfortable and will look great together. Make black leather derby shoes your footwear choice to show your sartorial savvy. 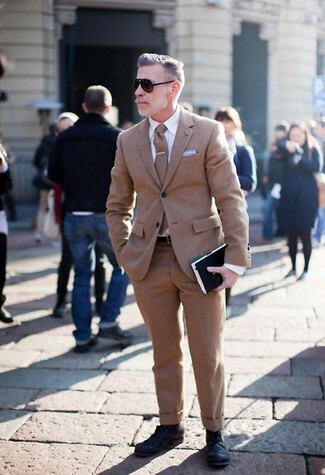 If you're on the hunt for a casual yet on-trend ensemble, consider teaming a brown wool suit with a brown wool tie. Both pieces are totally comfortable and will look great paired together. To add elegance to your ensemble, complete with dark brown leather oxford shoes. 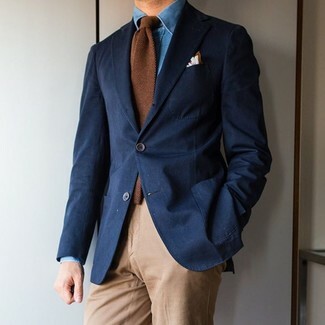 If you're a fan of relaxed dressing when it comes to fashion, you'll love this simple pairing of a navy blazer and a Ralph Lauren RRL handmade donegal tweed tie from Ralph Lauren. 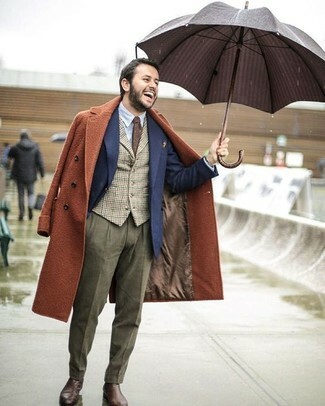 Wear a charcoal overcoat and a brown wool tie, if you feel like relaxed dressing without looking like a slob. If you prefer relaxed dressing when it comes to your personal style, you'll love this on-trend combination of an olive plaid wool blazer and a Ralph Lauren RRL handmade donegal tweed tie. Dress in a dark brown wool blazer and a Ralph Lauren RRL handmade donegal tweed tie, if you want to dress for comfort without looking like you don't care. 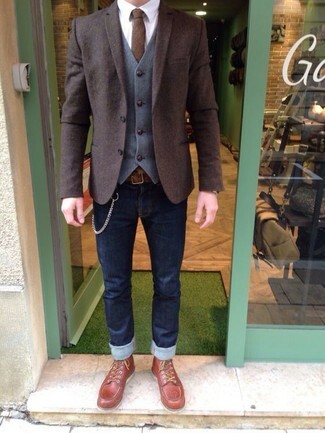 Sporting a pair of tobacco leather casual boots is an easy way to add some flair to your getup. If you prefer relaxed dressing when it comes to your personal style, you'll love this stylish pairing of a tobacco overcoat and a Ralph Lauren RRL handmade donegal tweed tie from Ralph Lauren. Throw in a pair of brown leather chelsea boots to show your sartorial savvy. Dress in a black field jacket and a Ralph Lauren RRL handmade donegal tweed tie to be both casual and neat. 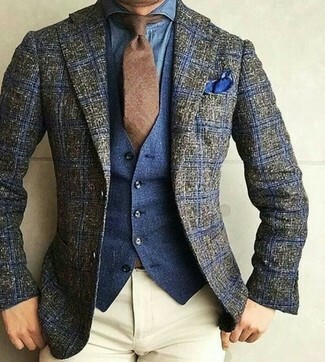 If you're after a casual yet on-trend outfit, consider wearing a brown check wool suit and a brown wool tie. Both items are totally comfortable and will look great paired together. Smarten up your ensemble with brown leather brogues.